Are you on the lookout for an automobile that can truly upgrade your time spend behind the wheel? Then, now is a great time to come say hello to one of Nissan's most impressive sport utility vehicles (SUVs), the Rogue Sport. From this perspective, make it a point to follow along as your friends here at Universal Nissan give you an exclusive look into some of the many reasons why getting behind the wheel of this class leader is a decision you will never come to regret. 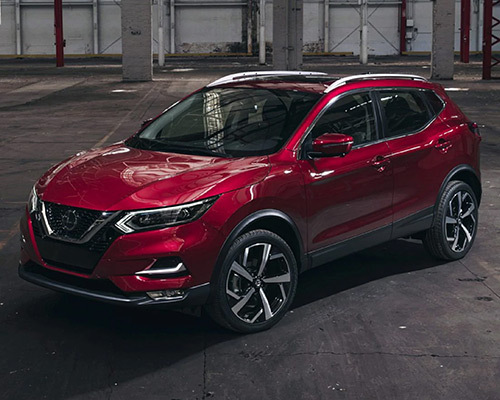 If you want to enjoy plenty of power under the hood and a gas-sipping approach to fuel consumption, the Rogue Sport from Nissan has you covered. Specifically, opting for this outstanding SUV grants you access to a 2.0-liter (L) four-cylinder engine capable of generating 141 horsepower (hp), 147 pound-feet (lb.-ft.) of torque, and fuel efficiency that clocks in at 25 miles per gallon (mpg) in the city and 32 mpg on the highway. For shoppers who want a premium experience, can you really afford to settle for less? If you are like most Orlando drivers, you demand top-tier control out of every facet of your driving experience. This concept is not lost on Nissan, which is why the Rogue Sport offers up two unique driving modes. Sport Steering gives you the power needed to really open up the throttle on the open road, while Eco Mode offers up a more gas-efficient driving experience via adjusted transmission and engine response. Refine your time spent on the roads of Orlando with the power of Rogue Sport's ample tech suite. With access to USB charging for your smartphone and a seven-inch (in.) touchscreen monitor to hands-free Bluetooth calling, you can always take to the street with confidence knowing this SUV packs quite the tech punch. Once you factor in the ability to tap into Apple CarPlay and Android Auto, it is safe to say this concept is taken to a whole new level. Making your way around Orlando has never been easier thanks to the Nissan Rogue S and its cavalcade of premium features. From the NissanConnect seven-in. display and Advanced Drive-Assist system to its Rear Cross Traffic Alert, Blind Spot Warning, and other assorted safety programs, there is no denying this class leader has what it takes to keep you safe and moving forward in comfort. Looking to enjoy the finer things in life? Then, it is time to get to know the Nissan Rogue SV. By offering up access to an eight-way powered driver's seat, Nissan's Intelligent Key with Push Button Ignition, 17-in. aluminum-alloy wheels, and countless other premium accoutrements, SV has what it takes to stand out in a crowded field — and ensure you never regret getting behind the wheel of one. Sitting firmly atop the SUV mountain is the alluring, exciting, and impressive Nissan Rogue SL. Of course, when you offer up a bevy of premium features, including leather-appointed seats, Nissan's Door to Door Navigation system, 19-in. premium aluminum alloy wheels, and countless other high-end upgrades, reaching the pinnacle of performance and quality is honestly just another day at the office for this SUV. Looking for even more data about your next trip across the highways and streets of Orlando? Then, it is time to get to know Nissan's Advanced Drive-Assist program. Featuring the ability to offer up turn-by-turn directions, caller ID, hands-free texting, and countless other tools that ensure you keep your eyes on the road and still stay connected, Advanced Drive-Assist is simply one of the many reasons why owning or leasing a Rogue Sport from Universal Nissan is always a smart call. The Nissan Rogue Sport is a SUV that knows how to tap into the power of artificial intelligence while you are out on the roads of Orlando. With Amazon Alexa and the Google Assistant on your side, setting your ideal cabin temperature, turning on the motor before you walk out the front door, unlocking or locking your doors, and so much more is all just a voice command away. If you are a fan of the most prominent virtual assistants on the market, you simply cannot afford to miss out on the Rogue Sport's cutting-edge integration with these apps. Owning or leasing a Rogue Sport is all about flexibility. When it comes to the rear cargo area, this notion couldn't be more accurate. 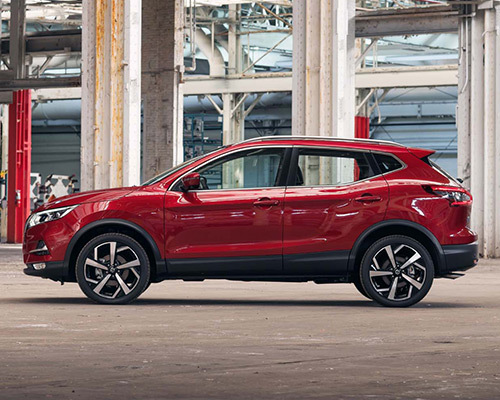 Intent on equipping you with as many options as possible, Rogue Sport offers up multiple storage configurations, a Divide-N-Hide pop-up cover to keep your valuables away from prying eyes, and drop-down seats. At the end of the day, what does of all this mean? 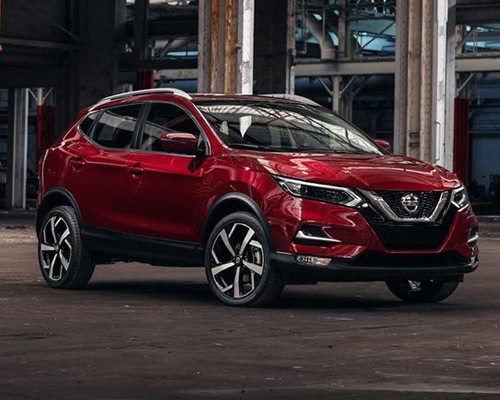 When it comes to maximizing your fun, excitement, and well-being on the roads of Orlando, now is the time to pay a visit to the Universal Nissan team and find out how you can buy or lease a Nissan Rogue Sport of your own right now.